“Why spend all of this money when access to the information in the library can be provided so cheaply by creating a job for a young newly qualified librarian? ” Why not indeed. To staff a library 7 days a week for 14 hours a day you’ll need a lot more than an extra library assistant. You need to at least double your current staffing levels and would be expecting staff to work until late at night every night and all day on Saturdays and Sundays. Incidentally if people are arguing that open libraries will put librarians out of a job why are you dying to solve the extra hours by hiring a library assistant who needs no library qualification and not a much higher paid qualified librarian? Open libraries as I see it isn’t about replacing staff. 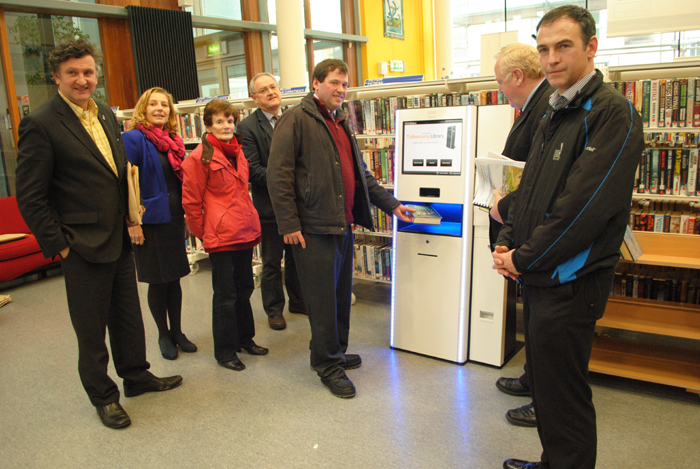 It is about giving people access to the already self service aspects of the service so that they can use the library at a time that suits their needs. Id love to be able to take my kids to change their books on a wet Sunday evening. They are well able to choose them and to check them out themselves. The next time the ink runs out on my printer (which it always does i need the printing urgently) wouldn’t it be marvellous if I could tip into town and use the one in the library? I’m sure librarians don’t go to library college to learn how to release print jobs for customers like me who always leave their ink supplies at a dangerously low level! I’ll still take my kids to events in the library and participate in summer reading activities. We’ll still ask for help when stuck for an idea for a school project and they’ll still visit with school so the librarians will be plenty busy enough, we just might visit the library even more often than we do. Wouldn’t it be great to be able to Skype your loved ones in Australia or Canada without worrying about time zones or crappy rural broadband connections? Wouldn’t it be great not to have to remember which night the library opens late? I’m sure I cant be the only one who rocks up on the wrong night with the kid’s only to find the doors locked? 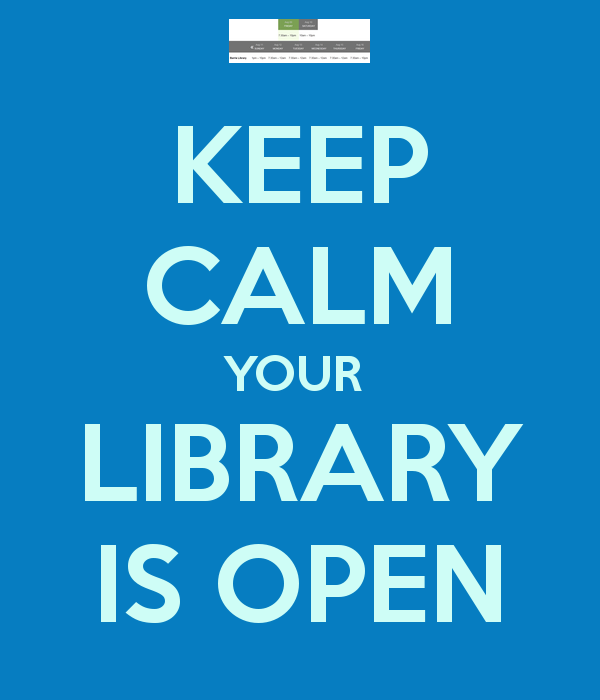 Libraries are currently opened for 9-12 hours per day, depending on the library’s location. So, to staff a library for an extra 2-5 hours per day would not require double the staff. We are talking about off-peak times when the library will have limited patrons using the services (statistics show a lower than 10% attendance overall during off-peak times). So the library would need to be open for an extra 2-5 hours per day and would have a small number of users to attend to. Even at five hours per day at seven days per week, this is only an additional 35 hours per week. And with the low attendance, one additional Library Assistance would be enough to cover the hours. As a qualified librarian, I could certainly run a library service off-peak on my own during these times. And it would be much cheaper to hire me than to pay for the setting up and servicing of an open library. The payment issue that you mention is not really relevant, nor is the qualification argument. Naturally, I would prefer to have a qualified librarian, but currently, a Library Assistant whether qualified or not still gets paid the same salary. Of course, you are right about one thing. Self-service for those who are competent enough to benefit is great. As a qualified librarian, I would much prefer to spend my time cataloguing donated books than changing ink in a printer. In my other posts on this topic, I explain how a librarian creates better access than an open library because an open library only benefits those how are technological enabled, while a staffed library benefits everyone. For example, what happens when you run out of ink in your printer and then go to the open library to use their printer, except there is a paper jam in the library MFD (multi-functional device) and the paper trays are locked because they don’t want people stealing paper? Is that not a waste of trip? And even more frustrating? Because there is only one company servicing all open libraries in Ireland, you may have to wait a while before the ink is replaced. Oh, and if you want to bring your kids to the open library on Sunday then it might be a problem, because open libraries in Ireland will be for over 16s only. Of course, you can bring them along, but they may need to tailgate into the library behind you, which would be against the rules. I did witness students getting stuck in the library gates in my last job. The gates where more stubborn than the students and closed on slow tailgaters. What if that happens to an elderly person or to a young child? I did get caught In the doors of a Cork City bus quite a few years ago. It was my fault for trying to jump on, but it was not a pain-free experience! Having 24 hours access to communicate with people would be great! My brother lives in Hong Kong and it is hard to catch him at the right times! I myself have worked in Asia and Saudi Arabia in the past few years! And it would be great to have more events on in the library for everyone to enjoy. I am not against technology or open libraries at all. It would be perfect if we could afford to have the technology plus the staff. Patrons who are self-sufficient can work away on their own and the library staff could focus on developing targeted services for those who need them – in an ideal world. My point, in these blog posts is this – we don’t live in a perfect country with money to have a perfect service. Would it not be better to create jobs and deliver a better, more inclusive and social service through spending our money on hiring more staff than spending the same money on computers that exclude children, the disabled, and others who are not computer literate? I lost my job in 2010. Four countries and six years later I am finally home and working on a temporary part-time contract. I am afraid open libraries will drive me away from my family and friends again. Thanks again for your ideas. Your perspective is interesting and needs to be considered also. My understanding of it all was that children are allowed in with their parents/guardians and that is what appeals to me about it. I can understand not allowing children in on their own but with their parents is ok as far as I understood. I might ring the library in tulanore and ask them! Who staffs the library for the extra 35 hours when you are on holidays? You’d need another staff member too at the very least. Also I’m pretty sure you can make staff work 7days a week without days off so you’d need people to cover the days off that people will need to have. Surely this “servicing” company you talk about are some kind of IT or security company and the stocking of paper and ink and so on would still fall under the remit of library staff, Just like the stocking of library shelves would still be the library workers? What what I saw on the news you need to be about as technology savvy as using an atm requires in order to open the door to the building and I’m sure there must be health and safety standards on doors or gates or whatever you call them to detect people using sensors or some such to stop people getting crushed. We might be getting a little sidetracked by more minor issues. Gates, children access and technology problems exist in a library, whether staffed or unstaffed, and they are all manageable anyway. However, proper planning can limit the number of issues and open libraries have not even been mentioned in any of the strategic planning by County Councils. They seem to be rushing the process of rolling them out nationwide, which is worrying. Especially because there has been no consultation with library staff or with the public who are paying for them. The idea that you mention at the end is very interesting – that the open library could increase membership to the point where they create more jobs. If this were true then I would not have as many doubts about them. In researching the area, I have only been able to find examples of open libraries leading to staff cuts and closures, and have not heard of even one case where they have created more jobs. The stats for the pilot libraries only indicate that 9% of all library users attend open libraries when given the choice and the amount of new members is very small. Examples of library services that have suffered due to open libraries can easily be found in the UK and Europe. Norfolk Libraries and Sheffield Libraries are two such examples. if they create more jobs, why has there been no consultation and reassurances to this end by the government? They have not been able to point to any examples either.